Penn State is a longshot, but Vegas has James Franklin’s squad at 75/1 to win the National Championship. On Monday, the NCAA lifted Penn State’s postseason ban and reinstated the Nittany Lions’ eligibility. As soon as the ban was lifted, Las Vegas was quick to update the odds for winning the 2014 National Championship trophy. Florida State remains the strong favorite at 9/2 with Alabama (7/1) and Oregon trailing behind (15/2). 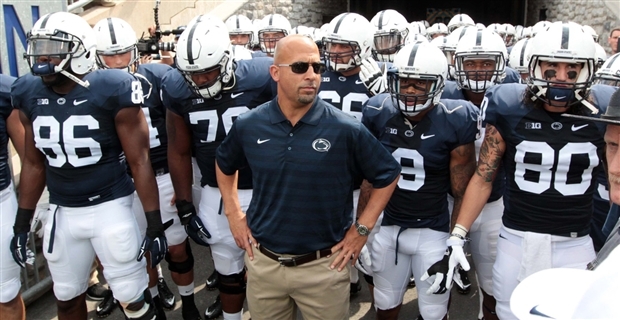 Penn State, an impressive 2-0, is 75/1.